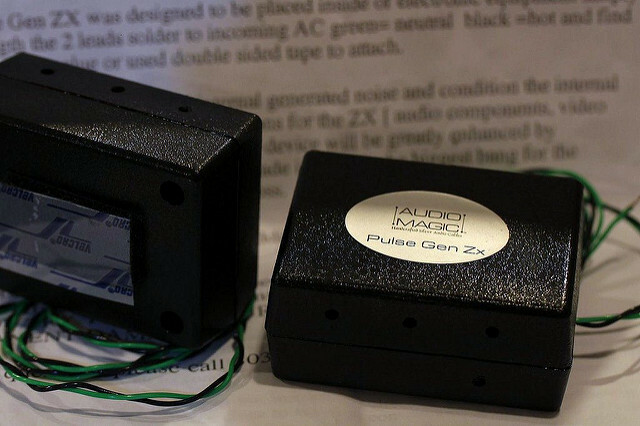 Audio Magic's Pulse Gen ZX is an active noise reduction device which neutralize RFI/EMI being generated inside the components. It's a small plastic box (1.75" x 2.75" x 1") that is to be soldered (we can do this for you, for a fee) to a component's internal IEC connection. That means it goes inside whatever you want, in order to hear whatever it does. "... the music is smoother - in the sense of being more naturally resolving as opposed to being slightly overly so - less edgy or aggressive, but with no sonic fallbacks..."
"... I found myself listening louder and with less fatigue which meant more involvement with the music... I did say that it also impacted the midrange and here (much like the treble range) it was also delivering more information …lots more. 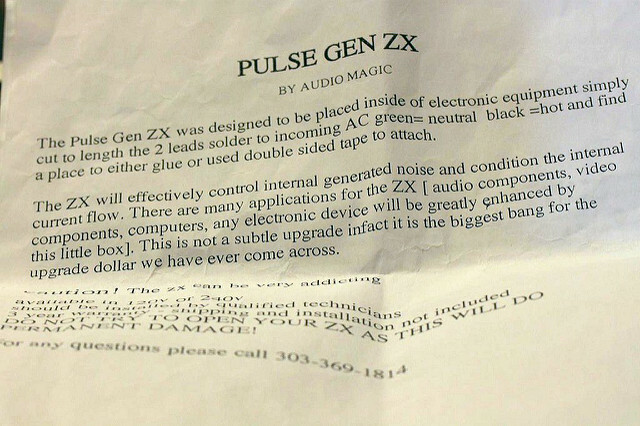 Vocals especially were revelatory; part of the failure of home stereos is their inability to capture all the minute harmonic fluctuations that occur in sound... 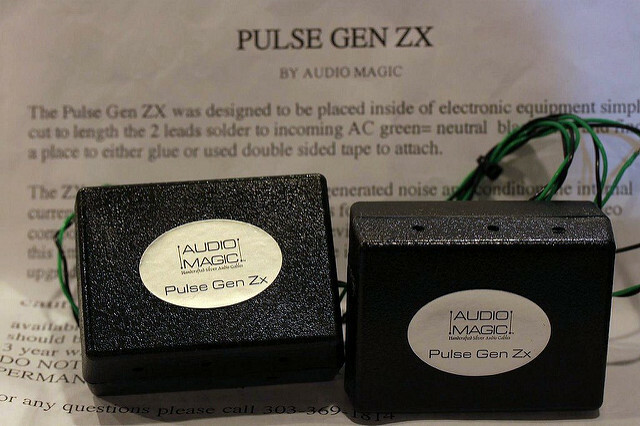 Highly recommended for any digital component you are using." Recommended selling price USD399 (rm1600).